Kalamazoo, MI – The Wiser Finanical Group has been selected by 269 MAGAZINE as one of Southwest Michigan’s Wonderful Workplaces. This award celebrates the outstanding efforts made by local businesses in the region to make their organizations great places to work. Winners are recognized in the Holiday 2018 issue of 269 MAGAZINE. 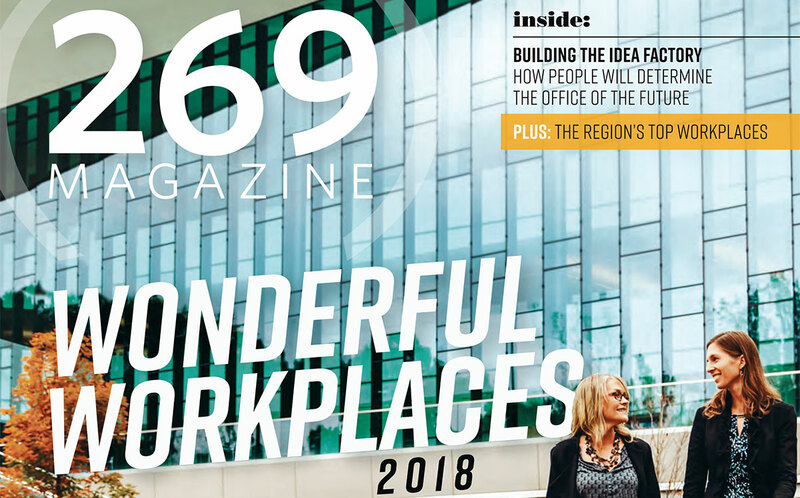 “We are honored that 269 Magazine would consider our company and the core values of our client focused team to be so highly thought of throughout Southwest Michigan,” said Managing Partner, Wesley Lentz. 269 MAGAZINE is a regional publication communicating the distinctive brand that is Southwest Michigan. It aims to inspire its readers to become active participants in the world around them and join its mission to make Southwest Michigan the place to enjoy as home, to work, and bring dreams to reality. Learn more at www.269mag.com.